Kolkata, 16 December: IN a relief to the near 1.3 lakh civic police volunteers in Bengal, Calcutta High Court has extended the tenure of their service by 15 days. 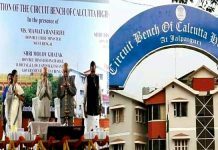 Earlier on 20 May, Justice Sanjib Banerjee had terminated the services of the civic police volunteers over irregularities in appointment and the termination was to come into effect from 31 December. But following an appeal from the state government, a division bench of the High Court comprising Chief Justice Nishita Nirmal Mahatra and Justice Tapabrata Chakraborty, today extended the deadline by 15 days until 15 January. The bench will hear the case again on 11 January, when a final order is likely to come through on whether the civic volunteers could continue in the service. While giving his ruling on 20 May, apart from terminating the services of the existing civic volunteers, Justice Banerjee had asked the state government to form a three-member expert panel to formulate regulations and conduct fresh recruitment of civic volunteers. But challenging the rulings, Trinamool government filed petition in before the division bench, which is yet to dispose of the matter. 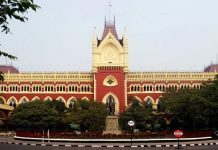 On 14 November, the bench had asked the state government about the status of the panel that was ordered by Justice Banerjee. 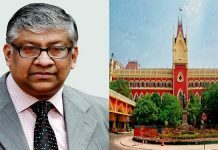 In response, the state’s advocate general Jayanta Mitra today told the court that the government had not made a move on this as yet since its petition challenging Justice Banerjee’s order was pending. Mitra also urged the court to extend the deadline. It was then that the division bench of Chief Justice Mahatra extended the termination deadline until 15 January. Two years into power, Trinamool government had introduced Civic Police Volunteer Force (CPVF) in 2013, under which around 1.3 lakh unemployed youths had been appointed on a no-work-no-pay basis. Their mandate is to assist police personnel in maintaining law and order, and traffic. But from the very beginning, there had been allegations that mostly Trinamool cadres were recruited as civic volunteers and several recruitments were made in lieu of bribe. Civic police is not a civic volunteer job but it is a totally Trinamool party cadres formed by Mamta Banerjee. No any written exam was held while recruiting the civic police volunteer. Therefore the value of education was lost. Most of the uneducated people were recruited in civic police. There must be written exam of 80 marks and viva of 20 marks. Advertisement is most important before recruiting the civic volunteer so that every candidate will get chance to prove their ability instead of only Trinamool candidates.